Hotels, nightclubs and dance venues in Tipperary are being reminded that it’s their responsibility to ensure those queuing outside the venue are safe. The comments from Tipperary’s Chief Fire Officer come in the wake of the Cookstown tragedy where three teenagers were killed in a crush outside a hotel on St Patrick’s night. Hundreds of teenagers were trying to gain entry to a disco at the Greenvale hotel when the tragedy unfolded. Lauren Bullock, and Morgan Barnard who were both 17 – and 16 year old Connor Currie died from their injuries. Police are questioning two men on suspicion of manslaughter. 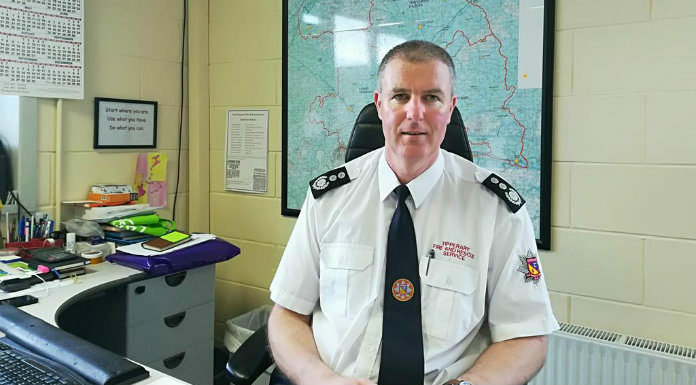 Tipperary Fire Chief Dave Carroll is chairman of the Chief Fire Officers Association. He says while they have a say on issues inside a premises safety issues regarding queues are out of their hands.